Last year, my business group went to Tokyo and they had the best times of their lives. My FB and IG timeline were literally bombarded with their pictures, having the best times of their lives while painting the town red. Instead of sulking my life away, I wish and pray (every day) that my guardian angel will bestow upon me the chance to visit Tokyo and have my revenge enjoy Tokyo in the form of Traveloka Online Contest #MyTravelokaEscapade. Here's how #MyTravelokaEscapade would look like, Traveloka. Upon disembarkment at the Narita International Airport, I will go straight to Ueno Onshi Park to watch the blooming trees of Cherry Blossom there. One's trip to Tokyo is unaccounted for if one have not watched the blooming of Cherry Blossom. Hey, maybe I should film a video of #MissBuzzy there too. It has been quite some time since #MissBuzzy made her appearance. Perhaps I should dress up in kimono too, just to get the feel of being in another culture. 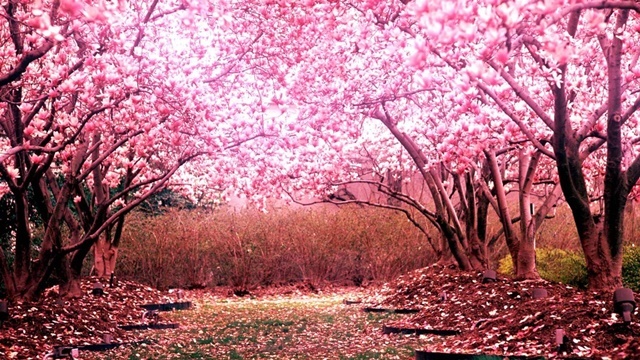 And also, I could get some locals to join me in the Hanami Party! A total cultural immersion is what I am looking for. Since I am already in kimono, I might as well join the crowd in Yoyogi Park. 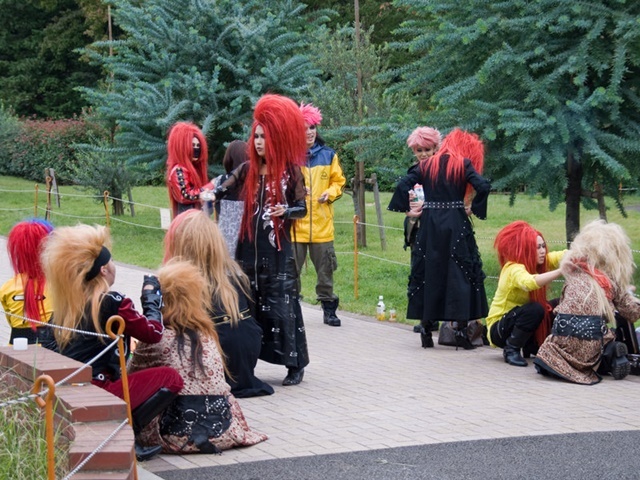 In Yoyogi Park, I will not feel out of place as I know people love to dress up. Most of the times, people dress crazily here but nobody will pay you no mind. So, I will be just at the right place here too. Since I am already in Yoyogi Park, I might as well perform my prayers at the biggest mosque in Tokyo, Camii Mosque. Camii Mosque is similar to the Blue Mosque in Istanbul. Interesting facts about the mosque: Most of the material come from Turkey and hundreds of Turkish artisans worked over a year to build the mosque and its cultural center. Hurmm. Perhaps here, I could dress up as a Geisha (reenacting Memoirs of A Geisha much). Or should I go crazier, like being Maleficent or Jaylah? Where should I go next to wind down? Please help me to choose from these two places. I just could not make up my mind. a) Cat Cafe: Lots of companions. Destressing effect. Great coffee or b) Shinjuku Gyeon National Garden: Meditate in tranquillity and being one with nature. Lots of gardens of different concepts to meditate in. Please help me to choose! This is too hard. I might as well go to both places then! That takes care of activities to be done during the daytime. What should I do when the night falls? 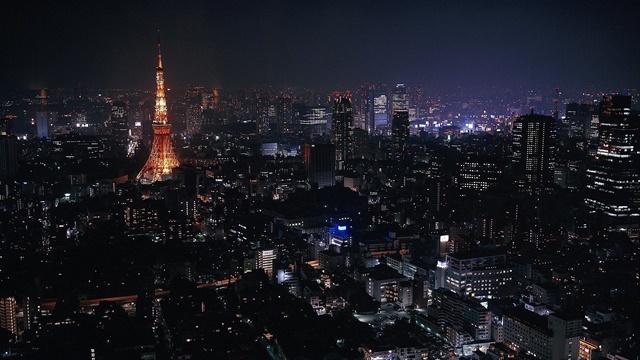 First I would to go up the Tokyo Metropolitan Government Building and take amazing pictures of all of Tokyo in the night time. I wonder if my pictures will come close to anything like this. 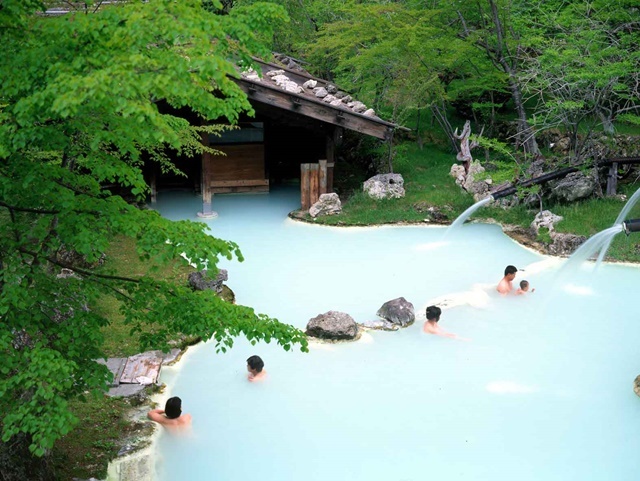 As I was looking for total culture immersion, I think I should head to the local onsen to relax and rejuvenate myself for the next day. The question is - am I brave enough to go all in the glory of my birthday suit and take a dip in the therapeutic bath? Another reason why I want to go to Tokyo is to ride the Shinkansen. Why? Where else can one experience riding bullet train that travels at the speed of 320 km/h, punctual, comfortable and efficient? Will it be safe for me to take a video of the journey using a Go Pro? Oh yes. A selfie at the Senso-Ji temple is also a must for me. It would be an epic selfie as Senso-Ji Temple is the oldest temple in Tokyo and its big, red and bold gate is the emblem of Tokyo. After all these cultural immersions, now it is time for me to shop. Let's head to Shibuya to do some more sight seeing and shopping for outrageous fashion. But first, let me take a selfie on the Shibuya Crossing! The visit to Shibuya is meaningless if one did not take any picture on the ever famous crossing. 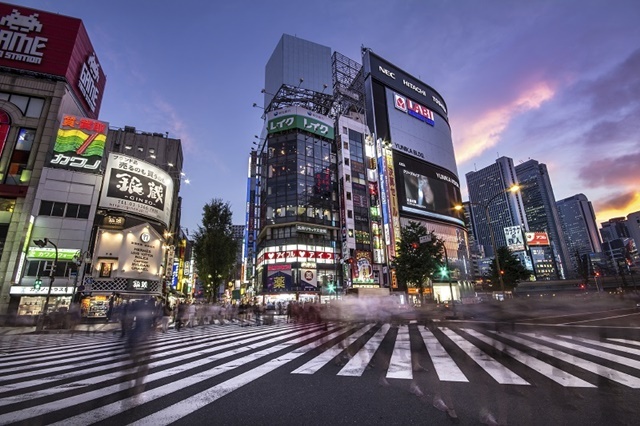 Once done, let's head to Shibuya 109 to buy the district's famous fashion. Who knows I will find my next winning costumes here. Hehehe. Or perhaps I could also visit Takeshita Street too. 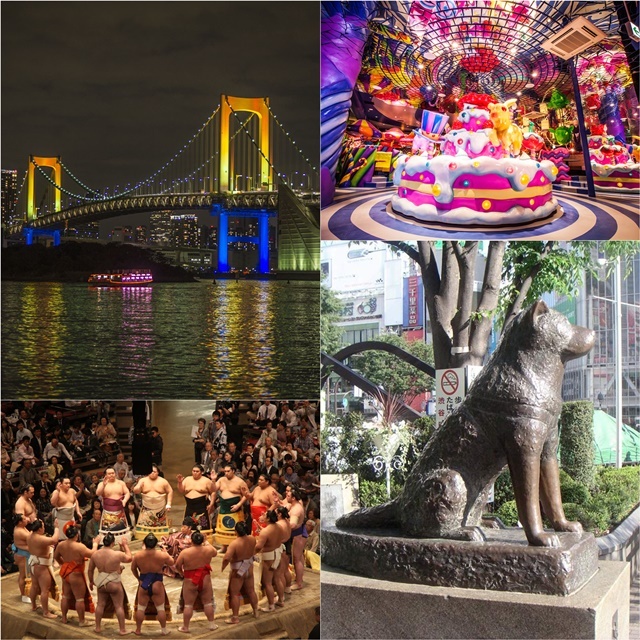 Actually a lot more that I want to do and visit when I go to Tokyo.I would love to visit the Imperial Palace, Meiji Shrine, The Shoto Museum of Art, Harajuku Shopping District, Odaiba, Ryogoku kokugikan and also to eat the ever famous wagyu beef, in Tokyo! Ok ada seorang yang sanggung bawa beg untuk g ker sana... dah hidup pasport utk 5 tahun ni tau wakakakakak.. 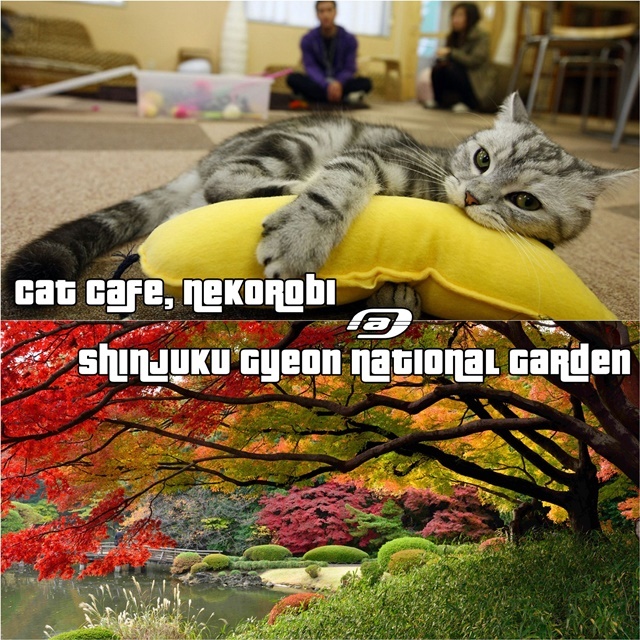 If I would have a chance to travel to Tokyo, I might do the similar adventures. Hope you win this competition! Traveloka let him win!